I attended the Commercial Bar Association annual cocktail party in the Supreme Court of Victoria library on 30 October 2012, and during his speech the Attorney-General Robert Clark noted that the Civil Procedure Amendment Act 2012 received Royal Assent that morning. I previously wrote about the structure of the Civil Procedure Amendment Bill 2012 in my article Civil Procedure Amendment Bill 2012 - costs disclosure and expert evidence. The structure of the Act has not appeared to have changed since it was introduced as a Bill. removes duplicative certification requirements for frequent litigants. The Civil Procedure Amendment Act 2012 commences as an amendment to the Civil Procedure Act 2010 on 1 May 2013. The full authorised text from the Victorian Parliament is here. In construction law the 'prevention' or 'Peak' principle was considered to have taken a turn for the worse after the two decisions of Turner Corporation Ltd v Co-ordinated Industries Pty Ltd (1995) 11 BCL 202 and Turner Corporation Ltd (receiver & manager appointed) v Austotel Pty Ltd (1997) 13 BCL 378. In the Turner cases, the New South Wales Supreme Court held (by way of summary) that a contractor is not able to claim that the principal prevented the contractor from reaching completion if the contractor failed to exercise its rights under the contract to claim an extension of time for such conduct. Spiers Earthwords PL v Landtec Projects Corporation PL (No. 2)  WASCA 53 (Spiers v Landtec) revisited the prevention principle in the context of the AS 2124-1986 standard contract (which is similar to the often used AS2124-1992 contract). The contractor claimed that it was prevented from reaching practical completion in respect of a contract for road works which had a 10 week completion period, and that the principal could not impose liquidated damages for the delay beyond the date for practical completion. The contractor claimed that the principal failed to supply sufficient or suitable material, that rectification was performed with unsuitable material, that additional works were undertaken at the principal's requests, that the principal made design changes and that there was inclement weather and also latent conditions. The principal responded by saying that the contractor had not given notice requesting an extension of time (relying on the principle from the Turner cases). The contractor responded to this by saying that the principal requested additional work and the principal and superintendent had not responded to the contractor's requests for extensions of time, and was therefore estopped from relying on the contractor's failure to issue a notice under the contractual extension of time provisions. The trial judge found that the principal was estopped from relying on the notice requirements of clause 35.5 in relation to 42 days, being a combination of additional work and rain delay, and that the date of the contract should be extended by 42 days. The contractor appealed this (although the finding was in the contractor's favour) as the contractor's position was that it didn't seek an extension of time, but instead sought that time be 'at large' (i.e. that completion occur within a reasonable time) by reason of the preventative conduct of the principal. The New South Wales Court of appeal upheld the trial judge's decision. A delay by the Principal or the failure of the Superintendent to grant a reasonable extension of time or to grant an extension of time within 28 days shall not cause the Date for Practical Completion to be set at large but nothing in this paragraph shall prejudice any right of the Contractor to damages. McLure P said that the Court was bound to follow Peninsula Balmain Pty Ltd v Abigroup Contractors Pty Ltd  NSWCA 211, which upheld the Turner cases. Peninsula Balmain approved the Turner cases, and also is authority for the proposition that the power of the superintendent to extend time in the absence of the required contractual notice from the contractor was to be exercised in the interests of both the principal and the contractor, and the superintendent is obliged to act honestly and impartially in considering whether to do so. The result in Peninsula Balmain was that the referee appointed by a court extended the date for practical completion as it considered that the superintendent (which didn't extend the time) ought to have done so. In obiter, McLure P cast doubt on the proposition that anyone other than the superintendent can grant an extension of time (at ). That is, in Peninsula Balmain the referee exercised the power of the superintendent to extend time, but McLure P didn't consider that this was a power that could have been exercised by anyone other than the superintendent. in the alternative, by reason of waiver and/or estoppel of the requirement for notice, the superintendent was in breach of his obligation to consider and, if appropriate, grant an extension of time. 61 Whether and to what extent cl 35.5 is intended to exclude the application of the prevention principle is a matter of contractual construction. The objectively determined purpose of cl 35.5 is at least twofold. The first is to provide contractual machinery to prevent the time for practical completion being set at large as a result of the application of the prevention principle. The second is to place on the principal the risk of delay caused loss not attributable to any contractual party. However, it would appear its purpose is not to exclude the prevention principle itself insofar as it applies to delay caused by the principal's breach of the building contract. In the absence of an extension of time under cl 35.5, the contractor would be entitled to damages against the principal for its breach of contract, including any damages (liquidated or otherwise) it suffered as a result of principal-caused delays in practical completion. Whether or not that could be relied on as a defence (such as equitable set-off) does not have to be decided. In the result, cl 35.5 brings the prevention principle back into line with the general contractual principles relating to the implied duty to cooperate. 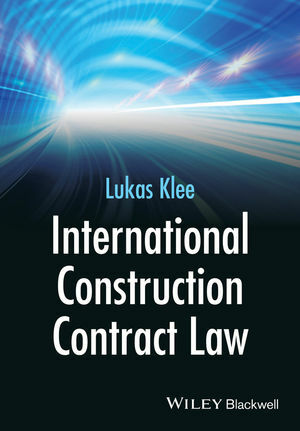 Accordingly, it is unnecessary to determine whether contractual parties are free to exclude the implied duty to cooperate, which is a term implied by law. 62 The same analysis would apply to a (derivative) breach by the principal arising from a superintendent's breach of the duty to consider the exercise of the power in cl 35.5. Moreover, it is arguable that the prevention principle is a relevant consideration in the exercise of the superintendent's discretion to extend time in relation to the 'non-breach' causes of delay specified in cl 35.5. If a court or another decision-maker concludes that the superintendent should have exercised the power and granted an extension of time, the principal will be prevented from claiming liquidated damages for the relevant (proven) delay. In summary, the relevant purpose of cl 35.5 is to prevent the prevention principle having the effect of setting time at large. McLure P held that on her analysis the principal would not be entitled to liquidated damages for the period for which the appellant should have been given an extension of time under clause 35.5, and upheld the decision of the trial judge. Newnes JA agreed with McLure P on these grounds. The Court has questioned whether anyone other than the superintendent can extend time. This requires an analysis of the relevant contract the subject of a dispute to ascertain the scope of the power to extend time, and to determine whether anyone else can exercise this power. The Court has noted that the prevention principle is alive and well, at least to the extent that a principal may be precluded from relying on a claim for liquidated damages for a particular period of time during which that principal has contributed to the delay. One of the difficulties, however, with the analysis of McLure P is that it is unclear how the conclusion is reached that the principal is not entitled to liquidated damages for the 42 days. For instance, it is not characterised by McLure P as an entitlement of the contractor in estoppel, despite the trial judge finding that this is how it was to be characterised. The Edelsten judgment (Beach J): possibly the best opening of any judgment ever. In the matter of Norman South Pty Ltd & Anor v da Silva  VSC 477, Justice Beach heard a breach of confidence claim. Possibly one of the best opening lines to a judgment I have read. As I indicated on my article yesterday, I went to the Commercial Court seminar on the Fortescue decision which was handed down by the High Court of Australia on 2 October 2012. The insights provided were helpful and interesting. Justice Robson of the Supreme Court of Victoria noted that the main between the majority decision and Justice Heydon's decision was whether the statement by Fortescue amounted to an opinion. The majority opined that it did not, and Heydon J opined that it did. Justice Robson observed that the majority decision is likely to be used to reject an opinion based approach to the question of whether a statement is misleading or deceptive conduct. 33. As has already been noted, ASIC's argument in this Court hinged on the proposition that the impugned statements conveyed to their intended audience a view about the legal enforceability of the framework agreements. ASIC sought to describe what was conveyed as a matter of fact, submitting that "the words 'agreement' or 'binding agreement' convey that it is an agreement containing all of the essential elements that would constitute a contract under Australian law". While it is to be doubted that the proposition which ASIC identified is accurately, or at least sufficiently, described as a statement of "fact", it is ultimately unprofitable to attempt to classify the statement according to some taxonomy, no matter whether that taxonomy adopts as its relevant classes fact and opinion, fact and law, or some mixture of these classes. It is necessary instead to examine more closely and identify more precisely what it is that the impugned statements conveyed to their audience. 37. Would they, as the Full Court assumed, ask a lawyer's question and look not only to what the parties had said and done but also to what could or would happen in a court if the parties to the agreement fell out at some future time? Or would they take what was said as a statement of what the parties to the agreements understood that they had done and intended would happen in the future? The latter understanding is to be preferred. 38. The Full Court's conclusion hinged on the use of the word "contract" or "agreement" in each of the impugned statements. The Full Court assumed that, by using one or other of those terms, the impugned statements conveyed to their intended audience a message about the legal quality (as determined by reference to Australian law) of the contract or agreement referred to in the relevant communication. And the relevant legal quality was identified as future enforceability in the event of a dispute between the parties. That is, the Full Court assumed that the words "contract" and "agreement" necessarily conveyed a message about legal enforceability in an Australian court. But that is too broad a proposition. First, it is necessary to examine the whole of the impugned statements to see the context in which reference was made to the making of a contract or agreement. Second, it is necessary to undertake that task without assuming that what is said must be put either into a box marked "fact" (identified according to whether an Australian court would enforce the agreement) or into a box marked "opinion" (identified according to whether the speaker thoughtthat an Australian court could or would enforce the agreement). the question of who is the intended audience. Michael Kingston, the Chief Legal Officer of ASIC, noted that the impugned statements caused an enormous fluctuation in the Fortescue share price and induced a substantial number of share sales, bringing home the enormous effect of the statements on the market. Mr Kingston questioned whether the standards for market disclosure were now lower than expected. Given the test for disclosure is [by way of broad summary only] what a reasonable person would have expected to have communicated to him or her, he questioned if now the market was required to 'read between the lines' when a disclosure is made, for instance, when a company enters into a 'binding contract' with a Chinese company as Fortescue did. The Commercial Court seminar series has come to an end for 2012. Many thanks to Justice Davies for her efforts in organising and pulling together such a fantastic cast of speakers for the series. I'm attending a seminar tonight held by the Commercial Court of the Supreme Court of Victoria on the Fortescue decision by the High Court of Australia: Forrest v Australian Securities and Investments Commission  HCA 39. Here's a flyer for the seminar. By way of summary Fortescue Metals Group Pty Ltd (Fortescue) signed, between 6 August 2004 and 20 October 2004, 3 4 page agreements with 3 Chinese state owned companies. It sent a letter to the ASX, together with a media release, in which Fortescue said that it had entered into a 'binding contract' with one of the companies. There were further statements made by Fortescue as and when it entered into the agreements with the other Chinese companies during that time. The nub of ASIC's case was that the contracts weren't binding as Fortescue could not oblige the companies to abide by them, and for that reason, Fortescue engaged in misleading or deceptive conduct in relation to a financial product (being shares) in breach of s1041H Corporations Act; it breached the continuous disclosure requirements under s674 Corporations Act; and Mr Forrest had not exercised his powers or discharged his duties as a director of Fortescue with the degree of care and diligence required by s180 Corporations Act. At first instance the matter went before Gimour J of the Federal Court of Australia who dismissed the case. The Full Court of the Federal Court allowed an appeal by ASIC, and Fortescue and Mr Forrest appealed to the High Court of Australia. The Fortescue decision isn't particularly revolutionary as the High Court's attention is focused on what the intended audience would make of the representation that Fortescue had entered into binding contracts with Chinese state-owned companies. 36 There are at least two difficulties in the Full Court's analysis. Both stem, ultimately, from the need to identify the intended audience for the impugned statements and the message or messages conveyed to that audience. The intended audience can be sufficiently identified as investors (both present and possible future investors) and, perhaps, as some wider section of the commercial or business community. It is not necessary to identify the audience more precisely. When that audience was told that Fortescue had made binding contracts with identified Chinese state‑owned entities, what would they have understood? 39. There was no evidence led at trial to show that investors or other members of the business or commercial community (whether in Australia or elsewhere) would have understood the references in the impugned statements to a "binding contract" as conveying not only that the parties had agreed upon what they said was a bargain intended to be binding, but also that a court (whether in Australia or elsewhere) would grant relief of some kind or another to one of the parties if, in the future, the opposite party would not carry out its part of the bargain. 43 Once it is accepted, as it must be, that the parties genuinely intended to make a legally binding agreement, the breadth of ASIC's submission (and the Full Court's conclusion) becomes apparent. For the submission was that, although the impugned statements accurately recorded that the parties to each framework agreement had made an agreement which said that the bargain was, and was intended by the parties to be, legally binding, the impugned statements were misleading or deceptive or likely to mislead or deceive because they also conveyed to their intended audience a larger message. This was that the agreements the parties had made were not open to legal challenge in an Australian court. That broader proposition should not be accepted. The impugned statements conveyed to their intended audience what the parties to the framework agreements had done and said they had done. No further message was shown to have been conveyed to an "ordinary or reasonable" member of that audience. 48. It is, however, necessary to bear firmly in mind that the impugned statements were made to the business and commercial community. What would that audience make of the statement that Fortescue had made a binding contract with an entity owned and controlled by the People's Republic of China? 50. Instead, the central tenet of ASIC's case was that the impugned statements conveyed a message to their intended audience (a) that, in the words of ASIC's statement of claim, it was "practicable to force" the counter‑parties to perform their part of the bargain and (b) that whether it was "practicable to force" performance was to be determined according to the same principles as would be applied to an agreement for the sale of a suburban block of land or the construction of a house in suburban Australia. ASIC established neither of those propositions. The impugned statements conveyed to their intended audience what the parties to the framework agreements said they had done — make agreements that they said were binding — and no more. ASIC did not demonstrate that members of the intended audience for the impugned statements would have taken what was said as directed in any way to what the parties to the agreements could do if the parties were later to disagree about performance. ASIC did not demonstrate that the impugned statements conveyed to that audience that such a disagreement could and would be determined by Australian law. And given that the impugned statements did accurately convey what the parties to the framework agreements had said in those agreements, it would be extreme or fanciful for the audience to understand the impugned statements as directing their attention to any question of enforcement by an Australian court if the parties later disagreed. Such an extreme or fanciful understanding should not be attributed to the ordinary or reasonable member of the audience receiving the impugned statements. 58. The letter which Fortescue sent to the ASX about having made the framework agreement with CREC was not misleading or deceptive and was not likely to mislead or deceive. That letter accurately recorded what the framework agreement provided. The letter did not convey to its intended audience any message about whether an Australian court would conclude that the agreement could be enforced. It conveyed to its intended audience that the framework agreement between Fortescue and CREC was what those parties had described (and a commercial audience would describe) as a "binding contract". 59. Having regard to the way in which ASIC presented its argument in this Court, it is not necessary to consider separately the other impugned statements to which ASIC referred in its statement of claim. It is also unnecessary to give separate consideration to the "likely to mislead or deceive" limb of s 1041H. In the Full Court, Emmett J expressly based his reasons on this ground. His Honour concluded that the statements "were, at least, likely to mislead or deceive an ordinary and reasonable member of the investing public who read the [impugned statements]". But the inquiry into how an ordinary or reasonable member of the intended audience would receive a message is of its nature hypothetical. That inquiry is therefore apt to answer both whether conduct is misleading or deceptive and whether it is likely to mislead or deceive. Separate consideration of this limb of s 1041H is therefore not necessary once it is decided that an ordinary or reasonable member of the audience would not have understood the impugned statements to have conveyed anything other than what the parties did and intended, and that the statement made about those matters was neither misleading nor deceptive. 60. ASIC did not establish that Fortescue engaged in misleading or deceptive conduct contrary to s 1041H of the Corporations Act. 65. For the reasons already given, the premise for ASIC's alternative argument about the application of s 674 was not established. The impugned statements did not express any relevant opinion. The impugned statements accurately conveyed to their intended audience what the agreements provided. That is reason enough to reject ASIC's alternative argument. Fortescue's statements having described accurately what the framework agreements provided, it is not to be supposed that s 674 nonetheless required Fortescue to publish the very text of those agreements. ASIC should have special leave to cross‑appeal but its cross‑appeal should be dismissed. 70. ASIC's allegations that Mr Forrest breached the duties imposed by s 180(1) of the Corporations Act on directors and officers depended upon it demonstrating that Fortescue had contravened s 1041H or s 674. Having failed to do that, ASIC's claim of contravention of s 180(1) also fails. 85. First, leaving aside issues relating to what was "contractually binding", the agreement was an agreement calculated to ensure that CREC built and financed a railway by compelling the parties to enter further negotiations about the further detailed agreements necessary to make certain that the railway was built within the framework – what cl 7 called the "intent" – of the agreement. Secondly, even if the agreement was not a "binding contract" to build the railway, it was a "binding contract" to engage in the necessary further negotiations and enter the necessary further agreements. Thirdly, so far as Fortescue had represented that there was a "binding contract" to build the railway, the statement was one of opinion, and only fell within s 1041H if ASIC established that Fortescue did not hold that opinion, or, if it did, that it had no reasonable basis for stating it. ASIC did not establish either proposition. The more interesting aspect of the Fortescue decision was the heavy criticism of ASIC by all members of the High Court. 24. ASIC sought to explain and justify the inclusion in its statement of claim of a plea that Fortescue had no genuine or reasonable basis for making the statements as a plea that anticipated Fortescue alleging that the impugned statements were expressions of opinion not fact. But it was neither necessary nor appropriate for ASIC to attempt to use its statement of claim to meet an answer that had not been made. 25. This is no pleader's quibble. It is a point that reflects fundamental requirements for the fair trial of allegations of contravention of law. It is for the party making those allegations (in this case ASIC) to identify the case which it seeks to make and to do that clearly and distinctly. The statement of claim in these matters did not do that. 89 The above reasoning renders false the allegations in par 28(a)-(c) that the agreement "did not state that CREC would … build and finance the railway", or "construct it on a 'Build and Transfer' basis", or "complete any works". It also renders false the allegations in par 20(a) and (b) that the agreement "did not by its terms oblige CREC" either to "build or transfer a railway facility" or "to finance the construction of a railway facility". Mr D F Jackson QC submitted that leaving aside the question of contractual effect, "with respect, the contention that that is not the effect of the agreement is absolute nonsense." This submission was entirely correct in content, style and tone. I'm interested in the insights which will come from the seminar, particularly since it is being presented by Michael Kingston, the Chief Legal Officer of ASIC and Mark Moshinsky SC, who appeared as one of the senior counsel for ASIC. The matter of International Litigation Partners Pte Ltd v Chameleon Mining NL (Receivers and Managers Appointed)  HCA 45 was an appeal to the High Court of Australia from the Supreme Court of New South Wales. International Litigation Partners Pte Ltd (ILP) entered into a litigation funding deed (the Deed) with Chameleon Mining NL (Chameleon) to fund litigation by Chameleon against Murchison Metals Ltd and others, claiming compensation for breach of statutory and fiduciary duties. Judgment was reserved in the Federal Court proceeding, and there was a restructure of Chameleon which triggered an 'Early Termination Fee' in the Deed. The fee was substantial, and was defined to mean 'an amount equal to "the Legal Costs (including Security for Costs)" expended by ILP up to the date of termination under cl 4.1 and a further amount being the higher of $9 million or the value of 20 per cent of the share capital of Chameleon at the "strike price" of its shares by the acquirer of the Change in Control' (at ). In response to a claim by ILP for the fee, Chameleon gave a notice of rescission of the Deed under s925A Corporations Act, claiming that ILP ought to have had an Australian financial services license when entering into the Deed with Chameleon. While carrying on the business of litigation funding, ILP was not the holder of an Australian financial services license under Part 7.6 of the Corporations Act, and Chameleon argued that ILP should have been so licensed. 7. Part 7.6 of Ch 7 of the Act (ss 910A-926B) establishes a scheme for the licensing of providers of "financial services". Section 925A is of critical importance. It applies (by dint of s 924A) to an agreement with a client entered into in the course of a "financial services business" by a non-licensee who does not hold a licence and is not exempt from the requirement to do so, where the agreement constitutes or relates to the provision of a financial service by the non-licensee. Section 925A empowers the client to give to the non-licensee a written notice stating that the client wishes to rescind the agreement. This has the effect given by s 925E that the non-licensee is not entitled to enforce the agreement or to rely on it by way of defence or otherwise as against the client. ILP argued that the provision of litigation funding to Chameleon was a 'credit facility' within the meaning of s765A(1)(h)(i) of the Corporations Act, which was exempt from the licensing requirement under Chapter 7 of the Corporations Act. The Majority considered the Revised Explanatory Memorandum to the Financial Services Reform Act 2001 which stated that credit facilities were not covered by the definition of 'financial product' and to the extent they were consumer credit, they would be regulated by the State based Uniform Consumer Credit Code (which was displaced by the National Consumer Credit Protection Act 2009) (at ). 26. Subject to exclusions which do not apply, the provision of "credit ... for any period", with or without prior agreement between the credit provider and the debtor and whether or not both credit and debit facilities are available, is a "credit facility" (reg 7.1.06(1)(a)). The term "credit" is defined in reg 7.1.06(3)(a) as meaning a contract, arrangement or understanding under which payment of a debt to the credit provider "is deferred", and as including "any form of financial accommodation" (reg 7.1.06(3)(b)(i)). The use in this way of the concept "means and includes" is to avoid any doubt that what is identified by the inclusion falls within the scope of the designated meaning of "credit". The result is that a contract, arrangement or understanding that is any form of financial accommodation is "credit", and its provision "for any period" will be a "credit facility". 29. The principal obligation undertaken by ILP in the Funding Deed was its agreement in cl 2.1 to pay the "Legal Costs" within 28 days of receipt of written notification requiring payment. "Legal Costs" were defined as all costs associated with procuring the files of Chameleon's previous solicitor in the Federal Court proceedings, and all future agreed legal costs and disbursements incurred by Chameleon and ILP in relation to those proceedings or any appeal (cl 1). Upon resolution of the proceedings in favour of Chameleon, whether by settlement or judgment, ILP would be entitled (cl 3.1(a)) to "Repayment" of the Legal Costs it had paid in accordance with cl 2.1; ILP also would be entitled to payment of the "Funding Fee" (cl 3.1(b)). This was an amount being the higher of three times the costs incurred by ILP under cl 2.1 and the "Percentage Payment" out of the "Resolution Sum", being the gross amount received upon settlement or judgment in the proceedings. The "Resolution Sum" was to be held by Chameleon's solicitors on trust for ILP, as to so much thereof as was due to ILP under the Funding Deed (cl 3.3). 30. Hodgson JA was of the view that what the Funding Deed provided to Chameleon was a form of financial accommodation. This was so, in our opinion, notwithstanding that ILP was to pay the Legal Costs incurred by Chameleon rather than advancing to it the moneys to enable it to do so. 31. In its submissions, Cape Lambert emphasised that reg 7.1.06(1)(a)(i) defined "credit facility" for s 765A(1)(h)(i) of the Act as "the provision of credit ... for any period". This was said to require identification in the Funding Deed of a period of time when there was money owing by Chameleon but not payable. This reflected too narrow a view of what might amount to the provision for a period of "credit" by a form of financial accommodation. This is true also of the submission made by Chameleon that "financial accommodation" postulated an obligation by Chameleon to pay money which was deferred, the deferral representing the accommodation. A bank overdraft may be subject to a term that it be repayable on demand by the bank, but the facility is one of accommodation for that period which elapses before the demand is made. 32. Clause 2.1 of the Funding Deed contained a present promise by ILP to pay the Legal Costs within 28 days of receipt of written notification. The temporal limitation upon the performance of that promise was that the notification relate to costs in relation to the Federal Court proceedings or any appeal from a judgment or order therein. For its part, Chameleon undertook to make the payments identified in cl 3.1 if the Federal Court proceedings yielded a receipt whether by way of settlement or judgment. Heydon J agreed with the majority in separate reasons. The ILP v Chameleon decision is important for the litigation funding industry as it is authority for the proposition that similar funding agreements are 'credit facilities' which are exempt from the licensing requirements under Chapter 7 of the Corporations Act.